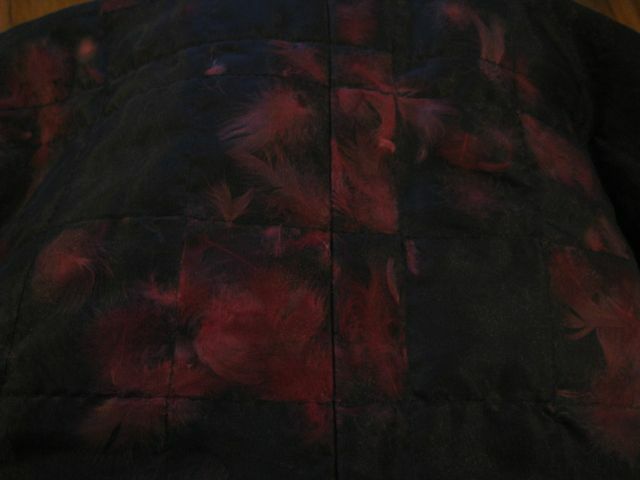 Pink feathers quilted under a layer of black organza in the skirt fabric. Amazing. So those are really real feathers sewn between layers of fabric? Wow. Very cool! Yep, they really are. 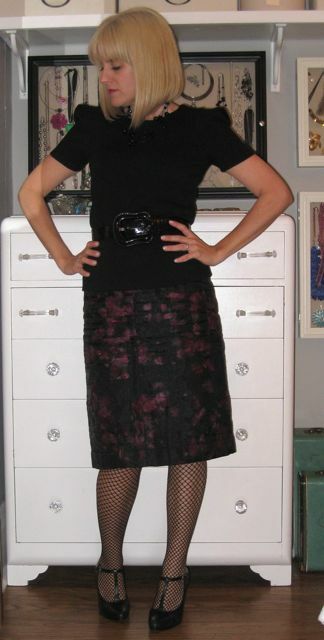 I have had it for over 10 years and I still love it– I have never seen fabric like it anywhere else. It would make awesome chair upholstery! Um… hello? hello?? any bloggers here?? You guys can’t have been running naked since Nov. 24th!